It’s a little after the fact, but this issue remains near and dear to the heart of your author, as she was formerly a Peace Corps volunteer in Senegal from 2007-2009, and is currently taking International Criminal Law. On August 22, 2012, Senegal and the African Union (AU) signed an agreement to establish special chambers embedded in the Senegalese judicial system to prosecute the person or persons most responsible for international crimes committed in Chad between 1982 and 1990, including genocide, crimes against humanity, war crimes, and torture. It is expected, however, that only Hissène Habré will be tried before the court. Habré was president of Chad from 1982 until he was deposed in 1990. He then fled to Senegal and has since been living there in exile. Known as an “African Pinochet,” Habré’s one party rule was marked by widespread atrocities. A 1992 Chadian Truth Commission accused Habré’s government of 40,000 political murders and systematic torture. The United States and France supported Habré, seeing him as a bulwark against Libya’s Muammar Gaddafi. Under President Ronald Reagan, the United States gave covert CIA paramilitary support to help Habré take power in 1982 and then provided his government with massive military aid. The United States also used a clandestine base in Chad to organize captured Libyan soldiers into an anti-Gaddafi force in the late 1980s. Habré has yet to be charged before the new chambers. He has faced past charges including torture, crimes against humanity, and barbaric acts from a Senegalese judge in 2000 after seven of Habré’s victims filed a criminal complaint. He was placed under house arrest, but the Senegalese Appellate Court later dismissed the case, saying that Habré could not stand trial in Senegal for crimes allegedly committed elsewhere. Habré’s victims immediately announced that they would seek Habré’s extradition to Belgium, where twenty-one of Habré’s victims had filed suit. 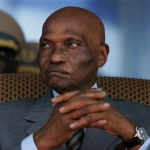 After Senegal’s President Abdoulaye Wade moved to expel Habré in 2001, the victims appealed to the U.N. Committee against Torture and U.N. Secretary-General Kofi Annan who persuaded President Wade to hold Habré in Senegal pending an extradition request. In 2005, a Belgian judge indicted Habré on charges of crimes against humanity, war crimes, and torture, and issued an international arrest warrant. 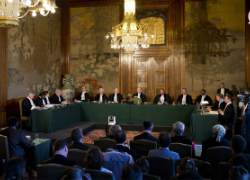 The Indicting Chamber of the Dakar Appeals Court ruled that it lacked jurisdiction to decide on the extradition request. Senegal then turned to the AU, which in July 2006 called on Senegal to prosecute Habré “on behalf of Africa.” Wade accepted the AU mandate and had Senegalese law amended to give the country’s courts explicit extraterritorial jurisdiction over international crimes. However, the Senegalese government contended that it needed full up-front funding of US$36.5 million from the international community before beginning any investigation and prosecution. Three years of halting negotiations over the trial budget ensued, until Senegal and donor countries finally agreed in November 2010 to a budget of US$11.4 million for Habré’s trial. Just days before the budget agreement, the Court of Justice of the Economic Community of West African States (ECOWAS) ruled that Habré must be tried before a “special ad hoc procedure of an international character.” Habré had filed a complaint with the ECOWAS court in October 2008, contending that his trial in Senegal, on the basis of Senegal’s 2007-08 legislative changes, would violate the prohibition against retroactive application of criminal law. International law experts have unanimously questioned the ECOWAS decision, as the principle expressly does not apply to acts which, at the time of their commission, were already prohibited by international conventional and customary law (such as, in this case, torture and war crimes and crimes against humanity). Nonetheless, the ECOWAS ruling is binding on Senegal. In March 2011, Senegal and the AU agreed in principle to a new plan creating an ad hoc international tribunal. 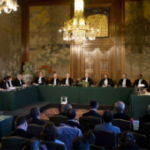 The new agreement calls for “Extraordinary African Chambers” to be created inside the existing Senegalese court structure in Dakar, namely the Dakar District Court and the Appeals Court. The chambers will have four levels: an investigative section with four Senegalese investigating judges, an indicting chamber of three Senegalese judges, a trial chamber, and an appeals chamber. The trial chamber and the appeals chamber will each have two Senegalese judges and a president from another African country. The prosecutors and judges will be nominated by Senegal’s justice minister, currently Aminata Touré, and appointed by the chairperson of the AU Commission. The prosecutor and three deputy prosecutors are to be Senegalese nationals and should have at least 10 years’ experience, especially in investigations and criminal prosecutions. All judges must have at least 10 years of experience as a judge. The tribunal will use international criminal law, but will rely on Senegalese procedural law and existing infrastructure to limit costs and additional delays. All was seemingly going well. Shocking everyone, however, in May 2011 Senegal withdrew from negotiations with the AU over creation of the tribunal. Then in July 2011, Senegal threatened to expel Habré to Chad but, days later, retracted its decision in the face of an international outcry. In announcing the retraction, Senegal’s foreign minister ruled out holding Habré’s trial in Senegal. The Chadian government then announced its support for extraditing Habré to Belgium to face trial. Continuing Senegal’s bold-faced delays, a Senegalese appeals court refused to rule on two Belgian extradition requests, however, because it concluded that the legal papers were not in order. In both instances, the Senegalese government apparently did not transmit the Belgian legal papers intact to the court. On July 20, 2012, the International Court of Justice, in the case “Questions relating to the Obligation to Prosecute or Extradite” (Belgium v. Senegal), found that Senegal had failed to meet its obligations under the UN Convention against Torture and Other Cruel, Inhuman or Degrading Treatment or Punishment and ordered Senegal to prosecute Habré “without further delay” if it did not extradite him. The decision is binding on Senegal under the UN Charter. Meanwhile, the cog wheels only began to move in Senegal after Macky Sall defeated Wade in the presidential elections in March 2012. The new Senegalese government reacted quickly to the ICJ decision, however, expressing regret that Habré’s trial had not taken place sooner and reaffirming its commitment to begin proceedings by the end of the year. The new Senegalese government quickly indicated that it planned to prosecute Habré in Senegal rather than extradite him to Belgium and has undertaken steps toward that end, including the recent agreement with the AU. The August 22 agreement commits the parties to a plan and to a timetable that would have the court operational by the end of the year. 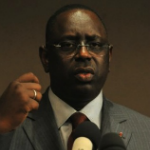 Senegal has indicated that it will now seek funding from the international community. The commitments made in 2010 were by: Chad (US$3,743,000), the European Union (€2 million), Belgium (€1 million), the Netherlands (€1 million), the African Union (US$1 million), Germany (€500,000), France (€300,000), and Luxembourg (€100,000). Since nearly two years have elapsed, Senegal must seek new pledges of funding. 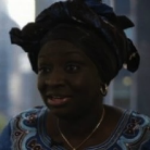 Justice Minister Touré has indicated that her office will reach out to donors soon and that, unlike the previous government, Senegal’s new government will not delay the start of proceedings until full funding has been obtained. During US Secretary of State Hillary Clinton’s trip to Senegal on August 1, she pledged “to help in every way” with Habré’s prosecution. Senegal has also promised to ask Parliament to approve the creation of the new chambers and to submit formal ratification of its agreement to the AU. Before the chambers are set up, Senegal and Chad are expected to meet to discuss the necessary judicial assistance for investigations and the trial, and Justice Minister Touré is expected to name candidates for the prosecutor and judge positions. The first step in bringing Habré to justice will be an investigation of his alleged crimes. It is expected that the investigative phase of the case will begin in October and will last approximately one year. 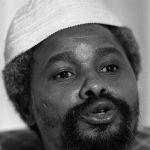 Habré’s trial could thus begin in late 2013. For more information on Hissène Habré and the tribunal, please visit http://www.hrw.org/africa/senegal. Jaime is a 2L at the Sturm College of Law. Her focus is on international conflict resolution and human rights. She is Staff Editor for the Denver Journal of International Law and Policy, a Vice President of International Law Society, and a Board Member of the Public Interest Law Group. During her first summer in law school, she went to Central Sulawesi, Indonesia, to work at an interfaith women’s school in a post-conflict area. Prior to law school, Jaime spent two years in Senegal as an Environmental Education volunteer in the Peace Corps. She was also an Americorps volunteer for an immigrant housing program in Washington, D.C. Originally from the East Coast, Jaime has also spent time in Italy, Japan, Nicaragua, and traveled throughout Europe and West Africa. You cann’t imagine simply how much time I had speent for this information! Thanks!